Medium duty towing is the use of tow trucks that can easily transport odd or cutaway vehicles that stray from standard sedans, trucks, and SUVs. Our towing experts at Melbourne Towing have experience in medium duty towing as the preferred method for such vehicles. We’ve been in the practice for years and always default to medium duty tow trucks when clients ask for particular vehicles to be moved. It’s our go-to and most reliable system, so you can trust that your vehicle is in good hands when asking us to tow. Cutaway vehicles are classified as those that usually provide service, such as ambulance trucks or school buses. 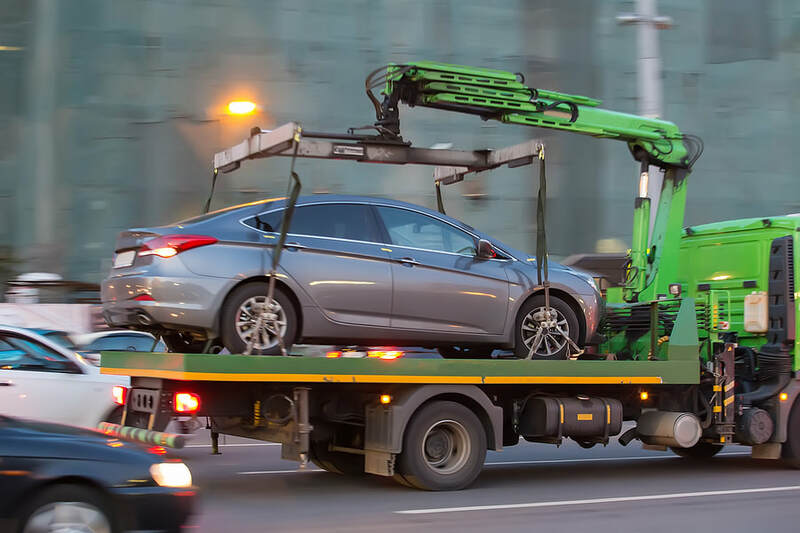 These vehicles can not easily be transported onto a traditional flatbed like most cars can, making medium towing the desired option in such a case. Clients have always contacted us to help them move cutaway vehicles, ranging from camper vans to moving trucks, a task we’ve readily been able to fulfill. Appreciated for its strength and durability, medium duty towing trucks are smaller in size but can provide equal amounts of stability for a fleet of vehicles. Medium duty tow trucks are often preferred due to their ability to easily maneuver over heavy duty tow trucks, yet they can move similar amounts of weight. Our towing experts have been working medium duty tow trucks for years and can compliment their ability to move cutaway vehicles with ease. We’re accustomed to moving such vehicles around with ease and we do so with the help of our high-grade medium duty tow trucks. Our medium duty towing is not only efficient, but also incredibly secure. We’re able to accommodate a variety of vehicles with our medium duty towing trucks that are appropriately licensed for towing with high-grade tools and materials, along with sufficient towing standards. Your cutaway vehicles are in safe hands, as each of our towing experts are thorough and work with significant attention to detail. This is done to ensure that each of your vehicles is picked up with care, towed with security, and delivered with success. Our customers have come to trust us our medium duty towing services for their precision and adequate delivery. We’re aware of the standards and expectations our clients have for us, and we work diligently to meet each and every one of those. Clients entrust us with such towing tasks because they believe that we can safely complete them. In fact, we go above and beyond the expectations to deliver medium duty towing services that are transparent, communicative, and accurate. If you have questions about how we can set up a medium duty towing service for you or your business, or how medium duty towing can benefit you over other size range towing systems, get in contact with us to learn more. Our fleet of medium sized towing trucks are designed with modern engineering and we hold our promise to you to get your vehicles transported safely.